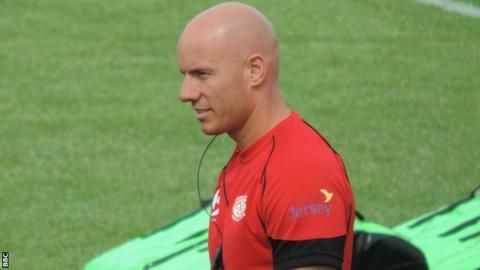 Jersey head coach Harvey Biljon says his side are improving, despite not winning a match since 8 November. The islanders have lost their last six games in all competitions and were on Saturday in the Championship. "I can assure you it's not about wins," Biljon said to BBC Radio Jersey. "It's about our progression as a squad, how we keep on making those small steps on and off the field and I think we're still making those." The island side have won just two games in the league all season - against bottom side Plymouth Albion and Nottingham - plus two in the British & Irish Cup. Despite their poor form Jersey are still mid-table, the first time in their three seasons in the second tier of English rugby that they have not been in a relegation fight at Christmas. "The players are definitely putting in the hard work, but we're struggling to get over the line and everything that could get in our way seems to be getting in our way at the moment."